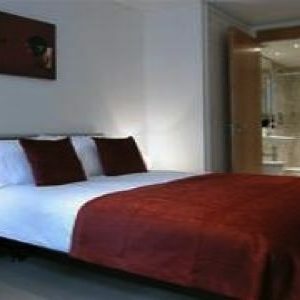 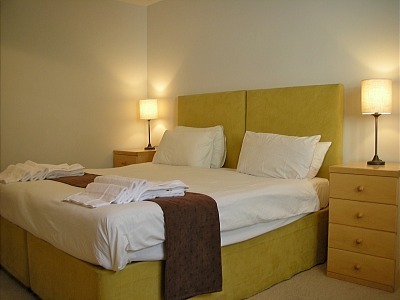 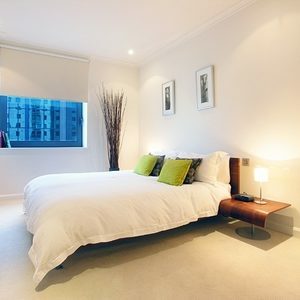 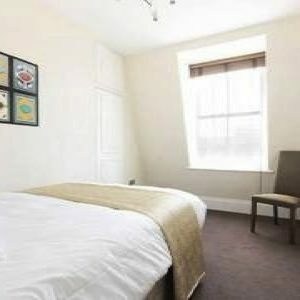 This great Three Bedroom Serviced Apartments is suitable for up to five people featuring zip link beds in the master bedroom, which can be set as a double or twin beds (please request at the time of booking), plus a double bed in the second bedroom and a single bed in the third bedroom. 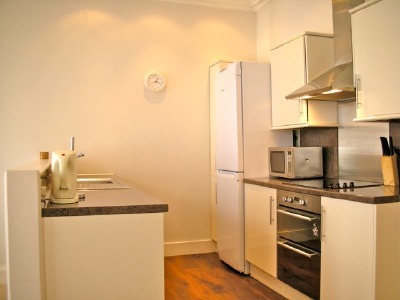 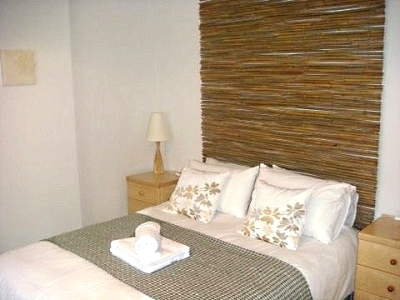 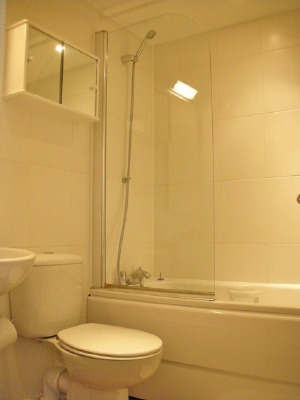 There is also a fully equipped kitchen, en-suite bathroom in the master bedroom and family bathroom. 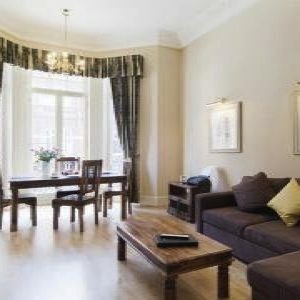 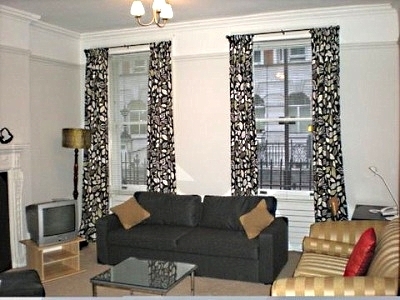 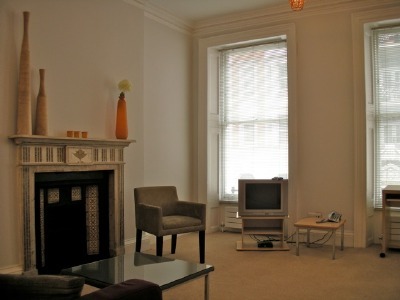 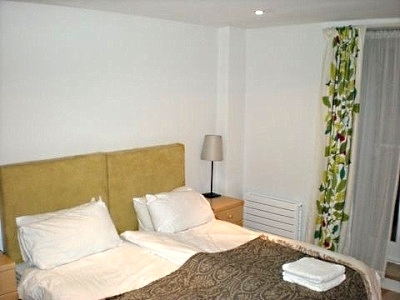 The property is located on Gower St in central London, set in a recently refurbished and charming Georgian building houses. 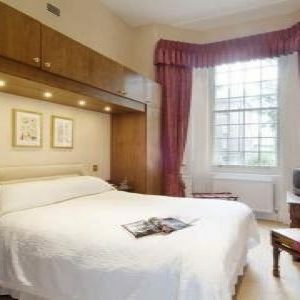 Each apartment benefits from private laundry facilities and is decorated to a high specification, combining new with old, featuring original fireplaces and surroundings yet benefitting from modern, bright and spacious living areas. 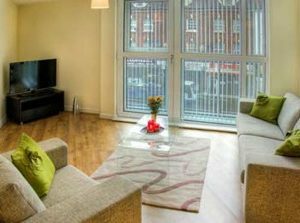 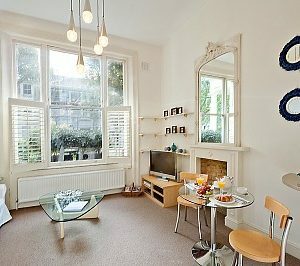 The area is very convenient with plenty of the British Museum, Covent Garden, Leicester Square and Regent’s Park all within close proximity.